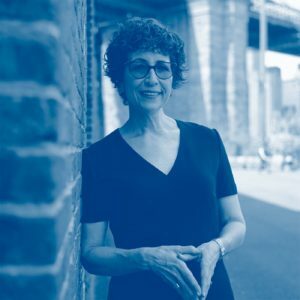 Amy Radin is the author of The Change Maker’s Playbook: How to Seek, Seed and Scale Innovation in Any Company. She was previously a Senior Executive at American Express, Citi, and ETrade. Amy’s experience includes leading the digital transformation of Citi’s credit card business ($5b bottom line). Today, Amy enjoys being on the outside of big companies and startups, to help connect the dots between growth aspirations and outcomes. The human condition is set up to stop things that haven’t happened before. Big companies have everything they need, but can’t see the near-term value of innovation. Startups bring speed and agility but lack understanding of scale. Magic is when they can work together. To “seed” ideas, take concepts and put them out to potential users. Then use the project to translate user reaction into a business model. The mistake is trying to predict too closely what people will do. To kill innovation is to apply traditional metrics to ideas. Can’t expect results immediately. Instead ask, what are assumptions to get x% of market share. As you move forward, refine your benchmarks and results. To be customer-centric, understand needs that make economic sense. What’s the problem we want to solve for the people we want to serve? Basic business model for financial services hasn’t changed. Innovation is happening on the front end, but little is happening on the back end. Finance companies are asking the same questions as 15 years ago. Innovation is solvable. It’s not a pipe dream, even in the most complex organizations. It’s all about execution. Utilize the Seek, Seed, Scale framework. BONUS: DOWNLOAD FREE TOOLS at www.amyradin.com/insideoutside, including concepts from her book, an infographic on Seek, Seed, Scale framework. and take a quiz about your innovation readiness and ideas where you can personally focus. If you liked this podcast, you might also like Ep. 103– Andi Plantenberg on Entrepreneurial Capabilities in Teams, Ep 37– Josh Seiden/Jeff Gothelf of Sense and Respond, and Ep 34– Laura Klein with Lean Startup for Product Design. This article contains affiliate links that may earn Inside Outside a small fee on purchases originating from them. They do not influence editorial decisions to include mention of any products or services in this article or add any cost to the customer.